I've been taking in and enjoying the year-end golf summaries, mostly to shield myself from news that makes me want to have John Oliver's '16 tribute on a running loop. As is always the golf media custom, various writers emptied their notebooks and recalled moments that resonated long after they packed up their laptops. While taking in their thoughts I drew a few conclusions, which, if you'll indulge, I'll share before throwing a few good year-end links your way. 2016 lived up to its billing: a stellar-but-bloated schedule, plenty of sensational tournament venues and a continued refinement of course architectural tastes skewing toward the natural. But the sadness of Arnold Palmer's passing, which I'm not sure we got to completely take in quietly, just reinforced the sense that there is too much golf and it all went on way too long. In spite of the pitiful WD's by Spieth, McIlroy and friends, The Olympics exceeded expectations while The Open Championship will go down as a classic (John Huggan and Dave Shedloski have put together a truncated oral history of Troon 2016). For Golfweek's Alistair Tait, those were the two biggest takeaways in his eyes and he offers two anecdotes from each. The women's side keeps producing young talent but now even Lydia Ko is showing signs of impatience that either could propel her to another level, or rapidly add her to a list of almost-legend status. This overall impatience by and for the youth to take center stage should be a more disconcerting sign for golf given how much damage it's done in tennis, but the desperation to ride some under 25-year-old coattails ignores that the average age of the men's major winners in 2016 was..34. On a grander entertainment scale, fewer players and even fewer fans are clamoring for tournament officials to humiliate players via course setup to compensate for inadequacies in their own golf games. Woohoo! Yes, we still have too many green speed fiascos to mask the distance issue, but we also have fewer four-inch rough weeks and grind-it-out bogey-fests. This increased clamoring for player-produced drama leads to a more positive energy when we tune in to watch golf. The effect has to seep down to the everyday game, no? Consider the incredible outrage over the USGA's difficult-to-rationalize handling of Dustin Johnson and how quickly the public response produced a local rule introduction that will restore some sanity (though it still won't slow down greens). A less cynical, more sensible golfing public should take a bow. The sport saw minor inroads on the pace-of-play plague and with the greatest single roadblock to progress just a few hours from retirement (woohoo 2! ), we may see real reform in 2017. I sense an overall shift in values for the sport: golf is no longer seen by its followers as a sport of inevitable punishment separated by bursts of fun. It is now expected to be one that aspires to be a lifestyle activity that is fun, sensible and responsible to be part of. Progress! Obviously this is generational and the infusion of many "millennial" values has meshed nicely with the "artisanal" trends that had already begun to reimagine design and experiential elements that inspire our passion for the sport. However, I can't help but think of 2016 without thinking of the incessant desperation the sport has shown in trying to appeal to a new generation while ignoring an aging demographic that loves the sport. In trying so pathetically to be cool to the kids the sport so often comes off as pathetic to the kids. If there's one thing we know about millennials, it's that we don't know what they really like. But they have shown a love for pursuits with soul, timelessness and some backbone. Golf should act more comfortable in its shoes. Ultimately the genius of golf is that it can be played and loved by people of all generations. Probably never a huge audience, but one that spans generations. So perhaps the potential for Tiger Woods and Phil Mickelson to duel one more time with a nice mix of young guns and veteran sticks joining the fight, a microcosm of this cross-generational meeting of minds will calm some of this desperation to get younger or die. If you need your memory refreshed, here are GolfChannel.com's newsmakers, with of course, that passing of Arnold Palmer in the top spot. We lost many others in '16 as Cliff Schrock notes at GolfDigest.com, but it was Palmer's death that will forever define the year. Randall Mell steps back from the raw emotion of the initial coverage to consider what Palmer's passing means to the game. Brandel Chamblee also weighed in with this piece. Jeff Babineau covered many topics in his year-end Golfweek.com thoughts, including Palmer's funeral. And GolfChannel.com's Mercer Baggs left the service feeling upbeat, thanks in part to the eulogy by Sam Saunders. The day after the U.S. Open, Arnold Palmer drove his cart to the back entrance of his office in Latrobe, Pennsylvania. It had been a rough year. Palmer declined to a do his news conference or a TV interview at Bay Hill, instead taping an interview for the NBC telecast. For the first time, he did not hit a ceremonial tee shot at the start of the Masters the following month. But he was sharp on this day. Dustin Johnson had won the U.S. Open, but only after playing the final seven holes not knowing if the USGA was going to penalize him one shot for his ball moving on the fifth green. "What did you think of the Open?" Palmer said. "Interesting," came the fence-sitting reply. Palmer grinned and, as always, got straight to the point. "The USGA really (messed) this one up, didn't they?" he said. Beth Ann Baldry filed her favorite memories from a year on the road covering amateur and women's golf, with the NCAA's in Eugene still resonating strongly. For Mell, Se Ri Pak's emotional retirement cameo was the memory he won't soon forget. Where would you start in a year that included Jordan Spieth cracking the face of his driver on the eve of the Masters, Adidas announcing that it wants to sell TaylorMade, Adams and Ashworth and the USGA and R&A reporting that they don’t feel driving distance is a problem in professional golf? Which brings us back to the proverbial question that inspired the start of this website 13 years ago and saw it morph into a blog 11 years ago. Will 2017 be the year anything is done? Probably not. But I'm encouraged enough by too many other big picture trends to never rule out some action. Shoot, we might even see a slow play penalty on the West Coast swing. Strap, it's going to be a wild year ahead. Sean Zak at Golf.com backed up his case that Steven Bowditch made an extraordinarily large amount of money (Nearly $500k) given some historically poor play on the PGA Tour. Nothing about the item was personal, but given the sensitive nature of pro golfers, who are coddled by the tour to believe they are doing the Lord's work, Zak received social slaps from giants in the game who apparently hold tour cards, notes Michael Shamburger at The Big Lead. 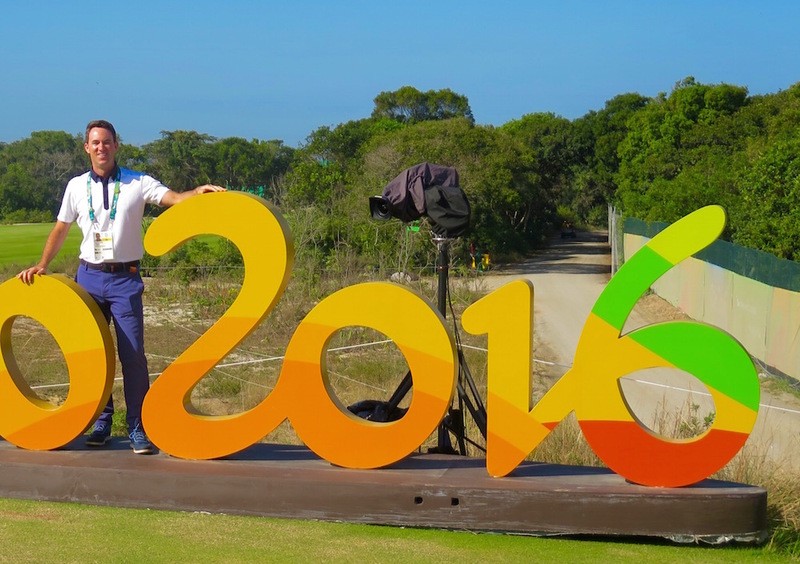 Steve Wheatcroft, Andres Gonzales, Colt Knost and Hudson Swafford all expressed their dismay, while an all-out blackout threat came from Graham DeLaet, who, while suffering through the yips this summer, blew off all writers at the Rio Games. And I can tell you, none of us have been the same since. Bowditch was 3.209 strokes worse than the field average in the 55 rounds he recorded last year. Robert Allenby finished 184th in strokes gained, albeit in 14 fewer rounds, but lost just 1.95 strokes per round. So the second-worst golfer, strokes gained-wise, was still a stroke better per round than Bowditch was. Just one player in the ShotLink era (David Gossett in ’04—sorry, David!) finished a season with a worse average. Those 3.209 strokes lost per round looks like this. Alas, there was some good news among all the gloominess. Bowditch still managed to earn $458,891 last season, good for 158th on the money list -- a far cry from his 185th-best form. Bowditch’s Tour wins in 2014 and '15 earned him spots in the no-cut WGCs that ensure a paycheck. Those three starts alone helped him rake in a cumulative $158,500, slightly more than 34% of his season earnings. PGA Tour Ratings Decline Streak Finally Ends! Paulsen at Sports Media Watch notes the 15-straight PGA Tour telecast ratings decline streak ended with the Tour Championship scoring a 1.9 overnight Sunday on NBC, the same as 2015 and up 12% from 2014. Sunday’s telecast, which saw Rory McIlroy win both the tournament and the FedEx Cup in a playoff, ended a streak of 15 straight declines for the PGA Tour on broadcast — a stretch that dated back to the British Open. Other than the British Open, it was the first PGA telecast on NBC or CBS to avoid a decline since the St. Jude Classic in June. Third round action on Saturday pulled a 1.2 overnight, down a tick from last year (1.3) and down a third from 2014 (1.8). Storylines Galore At Tour Championship! And FedExCup Too! The points have been reset again, the algorithms are working on 10 days rest and the lamest competition in all of sport has just four, cut-free days to go. On the list of storylines this week, who wins the cup lands a solid fifth. As I note in this week's Forward Press, the tenth anniversary of the ResetCup has brought many salutes to how far this grand competition has come and how far it still could go with more tweaks. Shoot, by year twenty we might even stop discussing the greatness of the playoff concept because will be so big, it won't play second fiddle to Notre Dame football. We can dream! As great as the whole thing supposedly is, the playoff concept faces an uncertainty, writes Brian Wacker. With the change in Don's, new PGA Tour leader Jay Monahan is expected to rethink the timing of the playoffs. But at least we have reversed nines at East Lake to possibly make for a better finish, a great field and the Ryder Cup pick to make this interesting! Playing Through: NBC Sports Answering The DVR? Long overdue in sports coverage too obsessed with cord cutters and not enough with the DVR have been counterpoints by networks to deal with digital video recorders. We've seen test runs at some changes in how golf tournaments are delivered and now NBC will be all-in on a NASCAR/Indy 500 style split screen approach to commercials at its big upcoming events. For The Tour Championship, the final nine holes will be presented free of national ads, according to this press release. Sponsors Coke and Southern Company can be thanked for going along with this, which will give us more time for the points race explanations too! At the Ryder Cup, NBC will be going full split screen as an an ad with its audio runs on one side, while the golf coverage continues on the other side of the screen. This will spoil some "just a moment ago" drinking games and also make watching via DVR a bit tougher. East Lake's Nine Reversal: Heresy Or Overdue? The AJC's Chris Vivlamore considers the sensitivity of reversing the East Lake nines for this week's Tour Championship and given the course's traditional routing, says there are concerns about upsetting the legacy of Bobby Jones. Why, I'm not entirely sure, given that Jones did not route the course or declare its design sacred in any writings. And as Viviamore points out, Jones and MacKenzie flipped the nines at Augusta National early on because sometimes it just makes sense. In the case of East Lake, the switch means the island green 6th becomes the 15th and the reachable par-5 9th is the finishing hole. So while the previous configuration did produce it share of moments, it's hard to say that the old sequencing was particularly sacred. "It came down to two things," Johnston said. "One, we wanted more hospitality venues and more friendly patron viewing experiences. We think it does this by reversing the nines. The second thing is, if you just look at raw scoring, there is very little volatility on the old Nos. 16, 17 and 18 versus what we think the new Nos. 15-18 will be. It's the drama, the excitement and the fan experience." Finishing on a par-5 likely will bring more leaderboard movement with the tournament on the line. Since 1998, the former 18th hole had a scoring average of 3.169 (plus-.160) and yielded zero eagles and 153 birdies. The new 18th had a scoring average of 4.677 (minus-.323) and yielded 16 eagles and 700 birdies. Excitement has never been a word associated with East Lake, so why not? As NFL numbers hit 7-year lows on the first weekend, the PGA Tour's recent run of down ratings continued the cord-cutting era trend, only in more spectacular fashion. Sunday’s 1.2 rating is tied as the second-lowest for final round coverage of the tournament since the FedEx Cup began in 2007. Playoff fever! Opt-out time! Ca--chingnotsomuch. The numbers are fascinating since conventional wisdom would suggest this could be the worst possible time for the PGA Tour to opt out of its network deal, presumably in search of more money thanks to additional bidders (ABC? FOX?). However, that seems unlikely given that the sports rights bubble has burst. Although the numbers could set up an opt-out discussion that allows the next Commissioner to reimagine the playoff schedule timing. Maybe one that ends on Labor Day? Dan Hicks touched on this possibility on ShackHouse this week. I still contend that trying to jam the playoffs into the post-PGA Championship, pre-NFL window will not work and that a fall finish to the season, with a restart in January gets the playoffs away from football when people are most excited about it, while also giving people a chance to catch their breath after a busy summer schedule. Olympic Participant Fatigue As A Ryder Cup Issue? Captain Darren Clarke could be thrilled to read that Henrik Stenson and Justin Rose are trending toward two weeks off prior to the 2016 Ryder Cup, but should they make it to East Lake, fatigue will be an issue for his two most prized Team Europe veterans. Jim McCabe of Golfweek reports from the BMW Championship on both sides, but the comments from the Europeans stood out. But just as there is a calm before the storm, for Rose there’s a silver lining to the collapse: A week off that he feels he sorely needs. “It wouldn’t be the worst thing; I hate to say that,” said Rose, when asked if not qualifying for the Tour Championship (Sept. 22-25) would be beneficial to his mental health. When Rose crashed over the final nine holes at TPC Boston, it dropped him to 50th in the FedEx Cup standings, which means he has to do something pretty special at this week’s BMW Championship to get into the top 30 and earn a spot into the Tour Championship. In this week's Forward Press I explain why the BMW is starting within hours of the Deutsche Bank Championship ending (Corleone and Tattaglia made a deal) and why it's a particularly horrible idea with the NFL kicking off. But hey, it's all about the Dyes, Crooked Stick and John Daly 1991 memories this week, so we have that (and a few fun YouTube contributions). All in the Forward Press at GolfDigest.com. Playing Opportunities And A New The PGA Tour Vision? Casey On Ryder Cup: "Rookies aren’t what they used to be."